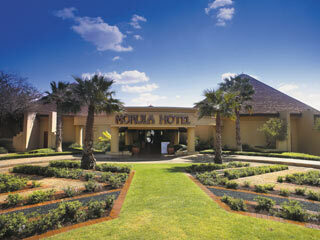 The Morula Casino & Hotel is situated North West of Pretoria in Mabopane and is set in a tranquil environment overlooking the picturesque Nooitgedacht Dam. The Casino is only 20 minutes from the capital city of Pretoria. The route is direct and the roads are easily accessible. At the heart of the resort is the Casino where guests can enjoy endless hours of casino pleasure. All the Sun International Wide Area Progressive Slots are available including Millennium Mania, Dream Machine and Poker Magic. In addition to the Casino, Morula has excellent Conference and Banqueting facilities, Accommodation, Magic Company, Kamp Kwena and Entertainment Arena.